Aleksey Miranchuk started learning football in his native town Slavyansk-na-Kubani where he attended the local FC Olimp's football school. A couple of years later Aleksey and his twin brother Anton moved to Moscow to join Spartak Football School. But the twins didn't stay there for long, dismissed due to "poor athletic conditions". Lokomotiv's scouts couldn't but use theit opponents' miscalculation and invited the young talents to join their club. Very soon this proved right: Year 1995 Team became champions three times in a row, Aleksey scored in two finals, and became an MVP of the RFS Cup-2012. In autumn of 2012 when coach Sergey Polstyanov was promoted to the Youth team he took several players with him, including Aleksey Miranchuk. 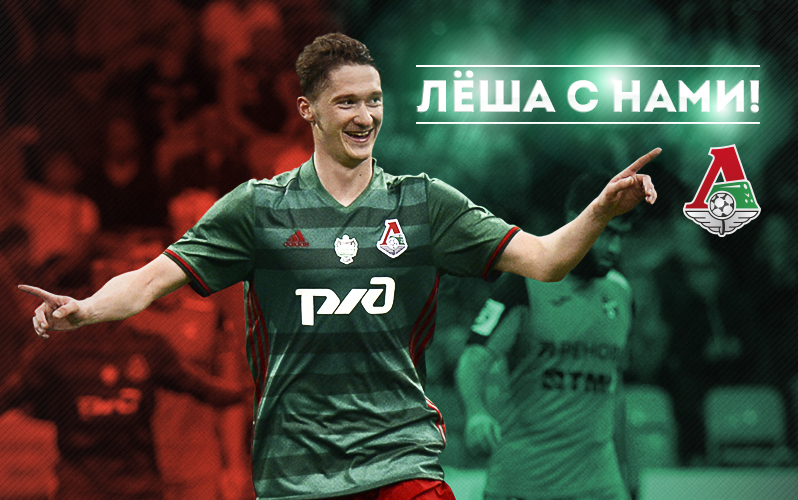 In November Aleksey made his debut against CSKA, four months later he was summoned to the main squad. Aleksey debuted in the main team just as quickly as he shifted from school football to the Youth league. After less than two months of meddling with the top men, Aleksey appeared on the pitch in a game against Kuban on April 20, 2013. A short sketch from Loko-TV showing the practicing Railwaymen, with comments from Alexey Miranchuk.